Optimism, opportunity and options are propelling us into a renewable future where fossil fuels are more easily marginalized in the energy mix. But as we learned in part one of this post, from Marty McFly in Back to the Future, getting there takes focused perseverance against the clock. Just as Doc was able to harness the power of lightening to accelerate Marty back into the future, our future depends on harnessing existing technologies to build an environmentally sustainable energy future. This post will establish three overriding factors that ensure the sustainable energy system built with existing energy technologies emerges. This is the source of optimism, while looking back at previous energy transitions holds us back and impedes our future progress. As I outline further below, the fossil fuel zombies are already being slayed. The market has shifted in favor of private investment into cleaner electricity generation while governments are the ones maintaining risky coal and nuclear power plants. The tipping point for a sustainable energy transition is already here, we just need to kill the zombie power plants. Yes, one can say there is a ticking time bomb to our planet. But it is important to see time as relative to other factors affecting how we dispose of the source of the danger. There are three factors representing how we fight off the end: time, quantity and quality. Time, refers to the time it takes (usually decades) for a technology to be developed, deployed and then widely adopted to become a dominate technology (possibly around 80% market dominance). Quality, refers to the embedded efficiency of a product or service. Produce more, then greater resources can be spent on finding efficiencies in the product or service itself. Thus, the importance of R&D, not just on new technologies, but on existing technologies. There’s an apple and oranges debate in energy transitions literature. Debates in academia are very good as it gets people talking and responding to each other, which means people are engaged and defending their positions (not just churning out boring journal articles). These debates make us think even harder about what it is we do and why we do it. The energy transition literature is interesting because it is multi-disciplinary, which means we all come from different perspectives and fields of study and tackle together examining how the energy transition is progressing – or not. Each of us gets to write about our field of expertise, but also get on the edge of other’s territory, which can be a bit confrontational since we don’t have a common understanding of the same literature or data. A few years ago, one of these academic debates blew up. In short, this is what happened: First an article written by Benjamin Sovacool, challenged conventional academic assumptions of a slow energy transition. He points out, “there have been many transitions – at varying scales and sectors – that have occurred quite quickly – that is, between a few years and a decade or so, or within a single generation.” Examples include, cookstoves, air conditioners and the use of natural gas in the Netherlands or nuclear power in France. In the present energy transition, according to Sovacool, a lot of small transitions lead to a big transition. This assumption runs counter to some established technology transition literature. Because under this new thinking, the past does not define the future transition and rapid national-scale transition can happen faster than previous epochs. Here, we can draw on the internet for wisdom to understand Sovacool’s position. ‘Your past informs, but does not define your future’. A debate arose as how do you define an energy transition. With a key question of, ‘what percent of market share is a sustainable energy transition reached?’ Professors, Grubler, Wilson and Nemet objected to Sovacool’s quick transition concept as deviated from a more Economics and Innovation approach (I’m badly labeling here because it is not my discipline). Grubler et al., point out reaching a pre-specified market penetration threshold requires consistency in comparison. Instead of relying on the accepted “time it takes to move from 1% to 50% … is identical to the time required to grow from 10% to 90% market share.” Which means this could take a very long time – of decades. So don’t get too excited about any change anytime soon, technology transitions take a long time, so we are not yet at a sustainable energy system. To arrive at this longer transition phase, Grubler et al., deploy an economic logistic function with the ‘typically accepted’ S-curves to demonstrate how long it could take to reach 99% of market share. Sovacool, rather than going for 99% deployment, or even 50%, goes for a short 25% market dominance (?!) threshold, thereby shortening the time, and leading the opposing authors to label it an ‘apple-to-oranges’ comparison. In short, market share takes time to achieve and how it is accounted for it, influences your perspective to state when the transition is fully complete or how long it will take to get there. You can’t say a transition occurs when there is only 25% market share compared to 90%. Depends on what you are counting? In a responding piece Sovacool and Geels come back and say, yes, there’s apples and apples, and there are oranges and oranges. But more clearly, they’re talking about Idared apples and Navel oranges’. While Grubler et all, are talking about just generic apples and generic oranges. Ok, maybe this is still confusing…. In other words, for Sovacool and Geels, the energy transition is not just about technology ‘A’, but about a large variety of technologies, services and practices. These collective smaller changes culminate in systemic change at all points in the energy system; this includes, “regulations, markets, infrastructures and cultural symbols. Therefore, transitions are multi-actor processes, involving interactions between firms, households, policymakers social movements, scientific communities and special interest groups.” From their viewpoint, we can measure the global diffusion of Idared apples, but we should also account for the global diffusion of navel oranges as it reflects a much deeper transformation of trade flows, agriculture and cultural acceptance of foreign fruit into people’s diets. The collective agricultural, distribution and consumption system developed around Idared and Navel oranges is representative of a deeper food system transition. Now, you can expand this example to the energy system. Soon we could have talking oranges…. The speed of technology diffusion may also be accelerating. For example, if we are speaking of the bronze age (taken from a random internet picture), it looks like things took a long time to diffuse. No doubt the trade route between the United States and China was largely land based 5,000 years ago (um…). Fortunately, in our modern world, there’s a tighter timeline for technology diffusion. But if we are talking about past diffusion then there is a slight lag in modern energy technologies. In Figure 1, the difference in years for the diffusion of coal and nuclear is less than a decade. While more modern technologies of electric bikes and cell/mobile phones, there is virtually no difference. Nonetheless, identifying the market dominance of a technology, from niche to prolific, is an important point and it reflects your point of view of how you argue for when a technology transition and the diffusion of a technology has pushed out the old and the new tech dominants. Because it is also important to recognize the ‘core’ may not be the ‘core’ in the future. Because some countries really do live by the ‘do not let your past define your future’ motto. And China is just that. From the 2015 IEA Energy Outlook the future is clearly not the past energy system. In Figure 2, between 2014 and 2017 emerging markets (with a huge lead with China) are catching up to developed markets in the deployment of solar and wind. Rather than thinking ‘rim’ and ‘periphery’ are slow to adapt and absorb newer energy technologies, we should identify diffusion occurring 5,000 years ago, or even 50 years ago, is not the same speed in this millennium. In these emerging markets, certain market instruments, like financing, sophisticated market regulations, and advanced business models, may be lacking and thus inhibiting an even greater roll-out, but language like ‘core’ and ‘periphery’ inhibit a proper acknowledgement of how energy technology is being diffused. Innovation is happening in the periphery because there are opportunities and cost benefits. China’s holistic drive towards an energy sector with more renewables is for the long-term strategic economic (and geopolitical) advantage a sustainable energy system brings, in terms of both renewables and energy efficiency. Quality can also be applied to kicking out the old. Thus, the debate on how we account for the transition, whether it is ‘problem centric’ or ‘solution centric’. Or rather, how many zombie power plants do we have in the world that pump out CO2 leading to our demise? And here we have good news. Figure 3, demonstrates the addition and subtraction of coal. Sure, we shouldn’t be adding new coal fired power plants to the mix, but it is happening for local reasons and with the state financing these – usually in emerging economies like India and China. But here’s even more good news, rather than retaining the assets for 40 years, which was the typical age of the coal capacity that was retired in 2017, we can find out that in China the average retirement age was 20 years because of newer stringent environmental controls. Importantly, while coal is profitable, it is also profitable quickly, with an estimated nine-year payback period, shutting down capacities in China hasn’t resulted in financial problems. This payback period also means newer facilities can be taken off-line not at the 40-year timeline, like the zombie (profitable) plants in West, but at nine years with full cost recovery by owners, or even less with financial support. So there are two points here on coal fired power plants. First, the state has now stepped in to ensure the operation of coal fired power plants. This will be discussed further below, but it indicates, overall coal is a risky venture that the private sector is not supporting. It takes policy intervention by governments to keep coal going. Second, rather than going about our daily business and working on the 40 year timeline, we should put the lifespan of coal fired power plants at 10 years. Any power plant older than a decade is labelled as a ‘Zombie power plant’. They only operate for the profit making of the owners while the environment is destroyed. Phasing coal out after a decade is necessary to push out this aged technology and speed up the energy transition. 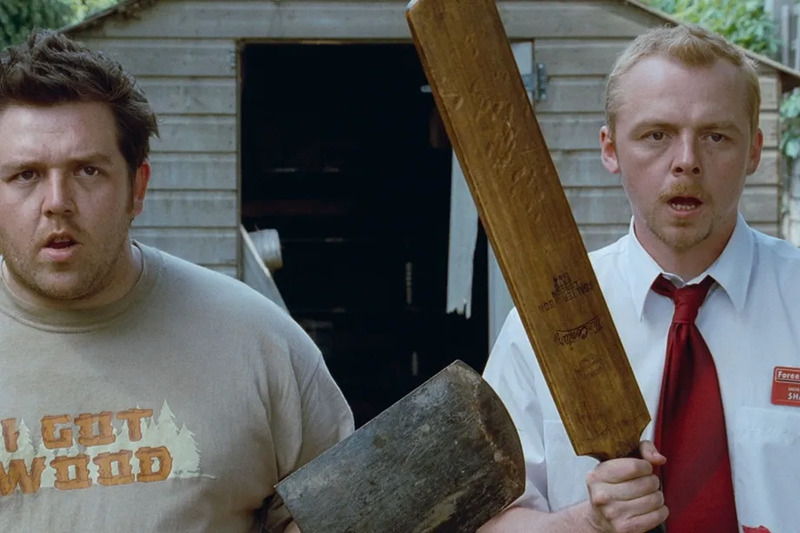 In this clip from ‘Shaun of the Dead’, it is clear Shaun doesn’t see the new reality around him. We should also take notice of the zombies around us and eradicate them (watch the movie for how this is done!). Although, it has to be acknowledge the social reasons for coal fired power plants, and the connected jobs, this means local decision making on closures may not appear so easy. Thus, the intervention of governments to keep coal zombies alive. Both India, Poland, South Africa and in the mind of Trump, coal remains important and should be protected for social, rather than environmental reasons. Nonetheless, coal is financially cheap and to keep low power prices, it remains an option, even if both technologically, environmentally and financially coal power plants have a limited future. There is a radical shift to a new global energy system. By creating a new system, the old system is destroyed. In a sense it is just replacement of the old system with ‘good’ technology that matches the social, economic and environmental needs of the world. It isn’t just one technology or a symbolic technology, but the whole energy system that is systemically replaced bit-by-bit over time and which may not be perceptible until after it happens. Sovacool and Geels point out the historical ‘opportunity driven’ mindset in the past compared to the ‘problem-driven’ (we’re all going to die) mindset that drives the present transition. The problem-driven transition creates a purposeful transition by companies, governments and people. This goes on to affect the speed and scale of the transition. Learning and innovation are accelerated, diffusion of technologies exceeds the speed of historical processes (yes, citations are needed here, literature gap!?). The question shifts from ‘how long does it take?’ to, ‘when and where is the tipping point?’ Resource scarcity and the cost of extraction and energy production are viewed as tipping point drivers. My argument is the tipping point is where the private sector falls away and government ownership and subsidies are needed to support older technologies to keep them in the marketplace. Therefore, for both new and old technologies the end price is influenced by government policies and the commercial cost of production. And here’s the good news: we may have arrived at a point where the private sector is largely investing in clean, renewable electricity generation; while government supports the zombie power plants. Some governments become the enablers of fossil fuel generation, rather than a driver for a clean energy future. Through ownership, subsidies and policies fossil fuel generation is artificially competitive against renewable energy. The ownership by governments of coal fired power plants and nuclear power plants demonstrates the high risk and low interest of the private sector into coal and nuclear generation. The tipping point has arrived. Returning to the latest statistical data sets developed by the IEA. The stagnation and decline in investments and innovation in the energy sector may be more indicative of the long-term small cuts inflicted on the fossil fuel sector caused by innovation and realignment of policy priorities towards renewable energy. In other words: as more technologies move from the R&D laboratory they are diffused around the world in a range of countries and community settings. This can include large scale solar PV projects financed by utilities and pension funds or solar PV projects in small villages that rely on a community-based approach to build and fund the system. The technology is only part of the diffusion process, engagement and development of business, finance models and legal structures supporting property or proprietary rights is also required. The diffusion and location of a particular technology is only representative of other deeper state and social changes. In the area of production and diffusion, as greater efficiency is developed both in the production process and in the operational processes, economies of scale increase for specific technologies, making deployment broader and deeper in a variety of markets, or market segments. In short, as the cost per unit of production for a certain technology drops, more people or companies can afford to use the technology. In this tighter relationship between companies and communities, there needs to be a tighter match between the needs of the community and what the technology delivers. When government incentives are lacking, the free market operates much more on a consumer pulling basis – think of consumers purchasing Iphones, rather than incentivized to purchase electric cars. If a technology matches to a need they have, or through encouragement by government or private entities, diffusion happens. Figure 4, demonstrates the decline in cost since 2010 of technologies in the energy related sector. The dramatic decline in LEDs, electric vehicle (EV) battery packs, PV modules, and fuel cells but the limited drop in upstream oil and gas extraction (even with hydraulic fracturing) indicates the success of R&D, and a range of broad based innovations in policy, technology and financing to get more sustainable energy technologies deployed across the globe. This is a mix between both consumers pulling technologies to market to meet their demands and government incentives pushing technologies out of the labs. The quality of innovation is also important to drive down the cost and assist in the diffusion of energy technologies. Between 2013 and 2017, the reduction in financial risk and lower interest rates reduced the cost of offshore wind generation by 15% (Figure 5, below). Thus not only can technology improve efficiency, but improvements in financing projects can lead to more projects – or at least cost savings on projects. Well-developed financing schemes are essential for the growth and competitiveness of renewables. Gaining a 15% in technical efficiency on a wind turbine blade could take years for R&D to get it right, in addition to the time it would take to deploy. Instead, finding efficiency in the financial world enables and assist wider deployment of renewables and other innovative technologies that seek to break both the cost barrier with fossil fuels but also the risk aversion barrier for institutions to support and invest in new technologies. Essentially, this 15% efficiency improvement in four years is a heavy step in a few short years to closing the 25% or even 90% market deployment gap that energy transition academics debate. It is a qualitative improvement reflective of economies of scale and compressing timeline for gaining financing for (lower risk) renewable projects. Competition against coal can be fueled not just in the technology space, but also in the financial markets and at the level of companies seeking profits. In the world of companies, financial risk and market opportunities abound and motivate change that impact on technology transitions. As Figure 5, demonstrated the 15% financial risk reduction in funding wind power in four years can happen. In this respect, maybe an annual compounded reduction in coal-fired power plants can be created. Remember, the timeline for a sustainable energy system is ‘problem focused’, not only ‘opportunity focused’. We need to create economic opportunity (renewable deployment) by identifying the problem (greenhouse gas emissions). Firms are very good at moving away from problems and seeking opportunities that hold both short term and long term advantages. Normally (and most literature would say this) policy influences actions by private firms. But emerging problems also emerge as no-go zones for businesses, why would a private firm choose to invest in a losing technology like coal, with actually or looming climate change related regulations and legislation, when there’s enough financial upsides in renewable to shift a company into a longer-term strategic focused industry? Through changes in policy and company strategies, the climate change problem becomes the opportunity. And it is the opportunity in renewable energy that is driving even coal companies to divest from their traditional (and only) energy resource they’ve relied on for decades, it seems probable a fuller and faster transition with limited pain both for companies, society and the environment. The Japanese company, Marubeni, is representative of some companies in the power sector, but also reflects the trends identified in IEA Energy Investment 2018 report of private firms withdrawing from coal generation and state-owned firms taking over (discussed below). Marubeni had large ambitions to develop more coal power plants. Currently, with 3.5 GW of coal power plant capacity, the company had plans to expand to 13.6 GW (which is a bit ridiculous growth by any conventional sense). They do not plan to close the door completely, with the intent to invest in the “Best Available Technology which at present is USC: Ultra-supercritical steam generating technology)…” So they are not out of the coal game, but what is more indicative a broader shift is the new strategy. Marubeni is a great example, as this is an industry wide trend. As the IEA remarks, it is State Owned Enterprises (SOE) that are taking over the fossil fuel sector, as the private sector withdraws seeking profits elsewhere. “In 2017, the share of national oil companies in total oil and gas investment remained near record highs, while the share of SOEs in thermal [coal] generation investment rose to 55%. In the case of new nuclear plants, all investment is made by SOEs.”  So, the investments that once made money (think of German utility firms, RWE and EON collapse of stock prices and attempts to divest from fossil fuels and traditional businesses. Not only is thermal [coal] generation a dying investment area, but to keep the sector going, the state indirectly has to step in to give it support. The private sector now gets the bad nature of coal, now policymakers need to withdraw their support. The profits and greener pastures, are literally elsewhere and in greening energy through innovative means. “Utilities in mature electricity markets are finding that their thermal power generation assets exposed to wholesale market pricing are becoming less profitable or even unprofitable and are seeking profitable opportunities in other areas, such as renewables and networks.” (my emphasis) The message is clear to the private sector: The time to get out is now before fossil fuels become a financial liability and sink the company (similar to E.ON and RWE and their need to place their ‘old’ coal assets into a single ‘sinking’ ship). Divesting from fossil and investing in renewables becomes the smart long-term strategy for profit growth and course correction with broader market trends identified at the start of this article. The long term issue for traditional coal and nuclear based utilities is how to achieve equal profits in this new business space. The flashy generation technologies of solar, wind, coal and nuclear dominate the headlines and thinking around our energy system. However, it is how the network that transfers the electricity where significant investments and transformations are occurring. The scale and amount of money for the transformation is modest but moving electricity around (and storing it) in a smarter and quicker way holds a significant impact. Just as the finance example of 15% savings for a project demonstrates a substantial shift, so does the ability for the network to communicate more efficiently impact cost savings for infrastructure and ultimately, how many resources are used to produce power. The multiplier effect within the system of smart energy holds significant opportunities to operate more efficiently. Spending on the electricity infrastructure is rising. Figure 6, demonstrates the overall growth and infusion of money into smart meters. Importantly, the cost of the infrastructure (such as smart meters) is reducing, thus more can be done with less money. This is why the sustained investment into network operations is compounding over time and transforming how power plants are used and consumers consume. Part one of this post on energy transitions ended with the idea that, ‘optimism, opportunities and options’ propel new energy tech towards global deployment. Outlined in this second post is how the three factors of ‘time, quantity and quality’ are transforming the energy sector. Time doesn’t change, but the speed and scale of processes do change. Diffusion of technologies is not the same as 5,000 years ago, so why should it be the same as 100 years ago? Just as the core and the periphery change over time, so does the use and spread of technologies alter depending on local requirements. The scale of transformation within China and the broader realigning towards more environmentally sustainable energy technologies alters the pace of change as the quantity of deployed technologies increases. Economies of scale, in both production techniques and cost of production drive a more cost-effective uptake of these new technologies that are competitive against established and older technologies. With greater production, and traditional R&D combined with innovative coupling of technologies, business models, and social adaptations greater efficiencies and higher impact on energy savings and production occurs. This ‘smart’ revolution in terms of both finance and communication methods enables a holistic transformation to occur that steadily replaces old technologies and techniques for operating and managing the energy system. In the past, we could look at the diffusion of the steam or diesel locomotive as a particular technology that altered broader networks as they were built (such as farming and manufacturing). But now we have areas of the world with these ‘old world’ technologies are recognized as dumb networks and zombie power plants. In other areas that missed the first, second and even third industrial revolution, there limited engrained networks of transport, production and communication. Fortunately, we have new technologies, like mobile phone networks and renewable technologies able to be both decentralized and centralized. The variety of technologies that form a sustainable energy system is diverse and includes more than just power output, but practices in consumer behavior, network operations and production of generation to power a wide variety of markets, from villages to countries. The past does not define our future. It is time to wake up and look around. The technologies and practices exist to deliver optimism, opportunity and options to build a sustainable energy system. It is time to kill the zombie power plants, dumb energy networks and inefficient consumption habits. It doesn’t take a radical transformation to build a sustainable energy transition, it simply takes sustained steps with a short-time line of a decade or less, to phase out older technologies and open up the space for the existing low-cost energy technologies we’ve already developed. Benjamin K. Sovacool, “How Long Will It Take? Conceptualizing the Temporal Dynamics of Energy Transitions,” Energy Research & Social Science, Energy Transitions in Europe: Emerging Challenges, Innovative Approaches, and Possible Solutions, 13 (March 1, 2016): 202–15, https://doi.org/10.1016/j.erss.2015.12.020. Arnulf Grubler, Charlie Wilson, and Gregory Nemet, “Apples, Oranges, and Consistent Comparisons of the Temporal Dynamics of Energy Transitions,” Energy Research & Social Science 22 (December 1, 2016): 18, https://doi.org/10.1016/j.erss.2016.08.015. Grubler, Wilson, and Nemet, “Apples, Oranges, and Consistent Comparisons of the Temporal Dynamics of Energy Transitions,” 22.
 International Energy Agency, “World Energy Outlook” (International Energy Agency, 2015), 1–2, http://www.iea.org/Textbase/npsum/WEO2015SUM.pdf. International Renewable Energy Agency, “Renewable Capacity Highlights,” 59. Sovacool and Geels, “Further Reflections on the Temporality of Energy Transitions,” 235.
 International Energy Agency, “World Energy Investment 2018,” 209. Michael J. Coren, “One of the World’s Biggest Power Plant Developers Just Gave up on Coal,” Quartz, September 17, 2018, https://qz.com/1392948/japanese-energy-giant-marubeni-just-gave-up-coal-for-renewables/. International Energy Agency, “World Energy Investment 2018,” 16.